It is the 4th and last week of the Wrangler Sun Chaser challenge. Don’t forget to join if you haven’t yet. The more entries you send, the more chances of winning. One winner of P8,000 cash vouchers will for this week and the overall winner for the whole month since the campaign started bags the grand prize with no less than a round-trip ticket with accommodations to the country of his or her choice. 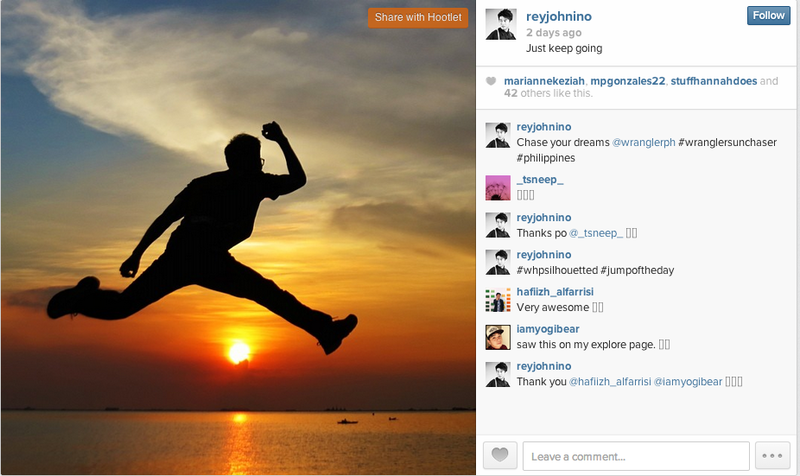 And the Wrangler Sun Chaser Week 3 winner is @reyjohnino! 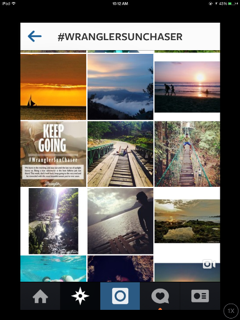 A peek of the almost 7,000#WranglerSunChaser on Instgram from Week 3.